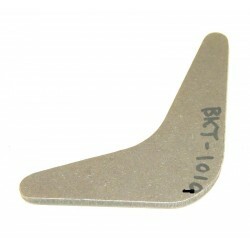 EAD Offroad carries universal weld in tabs and brackets from GenRight, Synergy and more. If you can’t see what you are looking for there’s a good chance we can get it. This is a Boomerang Gusset. They are Laser cut from 31/6" thick Heavy Duty plate steel. 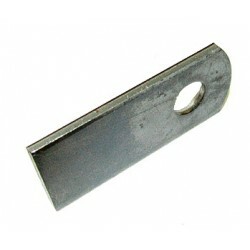 They are perfect for reinforcing roll cage or chassis corners. SIZE: 3" x 3" x 3/16" Fits is universal. Sold EACH. No returns accepted after they have been tacked in pl.. 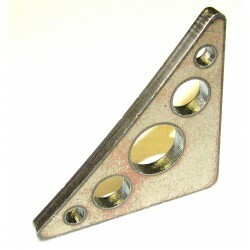 This is a top quality "straight" mounting tab from GenRight Off Road. They are Laser cut from Heavy Duty 1/8" thick plate steel. 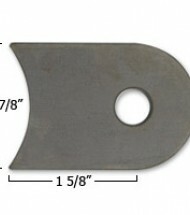 Size: 1" x 1-5/8" long They are perfect for mounting brake lines or other things on your Jeep. 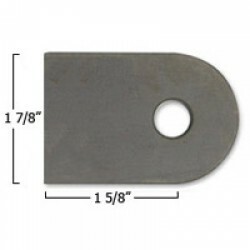 3/8" diameter hole is perfect for mounting all kinds of .. This is a Extra Large Corner Gusset from GenRight Off Road. It is Laser cut from Heavy Duty 1/4" thick plate steel. 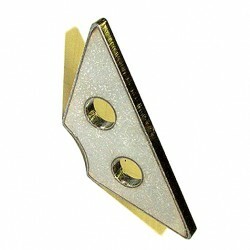 They are perfect for any area you want to reinforce or dress up. In a cage this type of gusset can surve as a functional way to hook bungee cords or tie down str.. This is a "large" Corner Gusset from GenRight Off Road. They are Laser cut from Heavy Duty 3/16" thick plate steel. 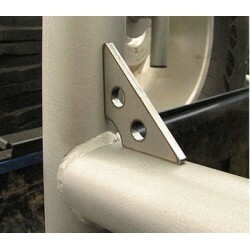 They are perfect for welding into corners where you need more support. Designed with a "relief" in the gusset to go over a weld in a 90 degree corner. Two .380" .. 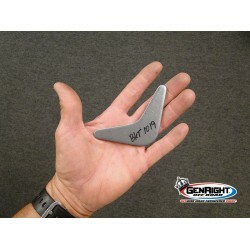 This is a "small" Corner Gusset from GenRight Off Road. They are Laser cut from Heavy Duty 3/16" thick plate steel. They are perfect for welding into corners where you need more support. 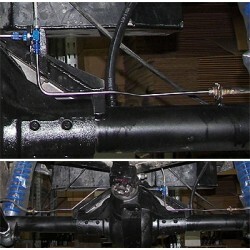 Designed with a "relief" in the gusset to go over a weld in a 90 degree corner. 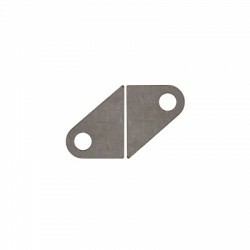 Two 3/8" d..
2" x 1.5" Flat Tab for mounting to frames, trusses, etc Designed for 9/16" Bolt Material: hot rolled steel Thickness: 1/4" Installation Requires (1 Hour): ..
Synergy Mounting Tabs Installation Requires (1 Hour): ..